When we think of renting a dumpster, we don’t often consider it an everyday experience or even an ordinary one. However, the need to arrange for residential dumpster rental is much more routine than many people realize. How can this be? It’s simple: many people struggle with tasks that would be much easier if they just rented a dumpster to help them take care of the waste that those functions produce. When Does Residential Dumpster Rental Help Most? Not sure what we mean just yet? That’s okay. 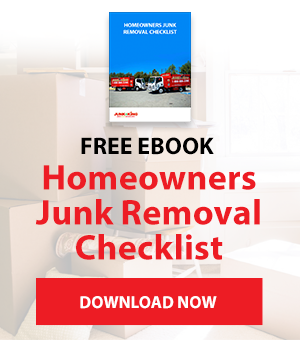 As we said, it’s not always immediately apparent that renting a dumpster can make your life easier until you’ve already done something the hard way. To help make things easier for you, we’re going to examine some of the situations in which a dumpster rental can help you most. Have a look at these seven scenarios, and ask yourself if you’ve ever been in any of them before. If you found yourself in one of them again, could a dumpster rental make things more manageable? One of the best times to rent a dumpster is also one of the least acknowledged. Each year, millions of people across the United States undertake spring cleaning projects with the goal of decluttering and revitalizing their homes. They’ll throw out old or broken appliances, now-irrelevant stacks of paper that have just been sitting around for months, and knick-knacks whose purpose their owners have long since forgotten. However, in a baffling turn of events, many of these spring cleaners are at a loss for what to do with their unwanted materials once they have collected them. Some attempt to put them in with the regular trash (which is a no-no we’ll look at in more detail later), while others sully the insides of their SUVs and minivans by attempting to bag everything and take it to the nearest landfill by themselves. Neither solution is particularly convenient or environmentally conscious. Fortunately, dumpster rental solves both of those problems by providing a receptacle you can fill for professionals to take away and sort at the end of your rental period. Spring cleaning isn’t the only situation where you’ll want to think about renting a dumpster—not by a long shot, in fact. You may also wish to pursue the option of residential dumpster rental if you are renovating your house. Home construction and DIY projects have the potential to produce immense amounts of scrap materials, even when done properly. You may find yourself with leftover drywall, lumber, tiles, or even bricks and cement at the end of the process. None of these materials should simply be thrown into the garbage because it all still has the potential to be useful. Renting a dumpster from an environmentally conscious company like Junk King ensures that you will be able to arrange these items without damaging or contaminating them and that they will be appropriately dealt with after we collect your dumpster. Another good time to rent a residential dumpster is when you’ve decided to hold an event. You might be in charge of an upcoming block party, or decide that you want to host a community event in your home. If you’re ever organizing an event where many people are going to come into your house, you’ll probably have plenty of junk to take care of afterward. From pizza boxes, paper plates, and plastic cups, to decorations such as balloons, a lot of waste can be produced even at casual gatherings. It might not seem like an unreasonable amount at first, but it can pile up quickly. Sometimes, you don’t even need a special event to require a residential dumpster rental. In many instances, people just need a way to rid themselves of items that their standard garbage collectors will not take away for them. It’s always a clever idea to check the website for your city and see which items your local garbage collectors won’t touch. You’ll probably find many common home renovation materials on their lists, such as concrete and bricks. Maybe you aren’t interested in renovating your entire home, but you want to change the way you use a single room or two. Converting your basement into a rec room may not seem like a daunting task at first, but the further into it you find yourself, the more junk you will probably find yourself responsible for removing. The simple fact is that things pile up when you aren’t paying attention to an area of your home, and they often contain much more clutter than people realize until the day they go through it all. Renting a dumpster will enable you to prepare when you’re clearing out a room to repurpose it. Cleaning isn’t always something that we plan. Sometimes, cleaning is something we find ourselves forced to do in the wake of an unexpected event or emergency. Inclement weather is a perfect example because it can sometimes cause significant property damage. Even if your home has not been damaged by high winds, lightning, torrential rains or other “acts of God,” you may find that such events leave debris from elsewhere in the neighborhood on your property. Renting a dumpster can allow you to clean up these items quickly and efficiently so that you can restore order to your property, as long as you leave hazardous materials to the professionals. We think about the impending birth of a new family member as something that calls for the addition of new items in our lives—cribs, baby monitors, and the like. However, what we don’t always realize is that having a new baby on the way also requires us to rid ourselves of many items. If you’re kid-proofing your home, you may be surprised by the sheer number of sharp objects or other unsuitable things you have to remove. You may also find yourself with waste materials if you are converting a spare section of your home into a bedroom or nursery for the child. There are many reasons to consider residential dumpster rental and many companies that will be happy to hire out a dumpster for your use. 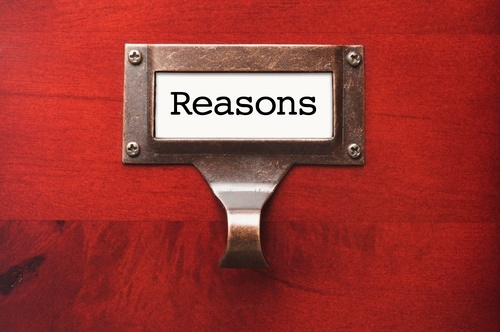 In every case though, you should consider how you can benefit most from your rental. Choosing a company whose policies suit your practical and financial needs is extremely important. You will need to rent a dumpster that is conveniently sized so that you can position it on your property suitably. You should also try to find a company that charges you in a fair way so that you do not pay for space you don’t use. 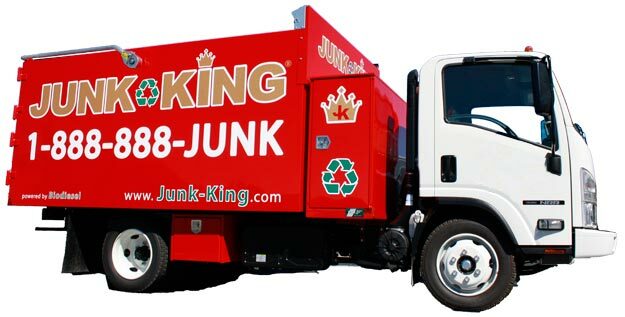 Our policy at Junk King is to offer conveniently sized mini-dumpsters that can be placed on driveways for easy pickup and drop-off, and which hold enough material to satisfy the needs of practically any of the above projects. We then charge you based on the square footage of space you use in each rental container so that you can save money by filling the skip efficiently. To learn more about residential dumpster rental, contact us at your first available opportunity and speak with a member of our team who can answer your questions.